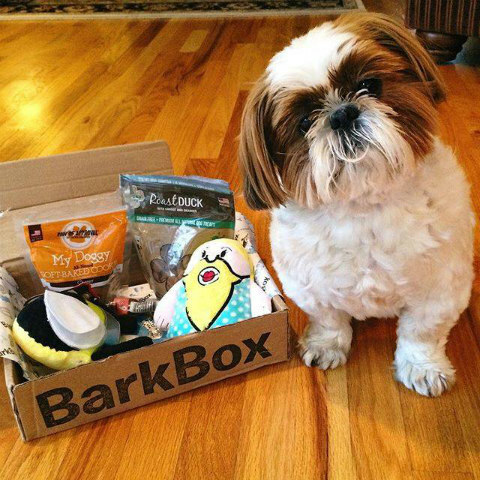 If you’ve got dogs and you’re the kind of pet owner that likes to keep things fresh by mixing it up with new treats and toys, a company called BarkBox might be just what you’re looking for. Or maybe you’re an insatiable shopper and your desire to hunt down the best deals on the latest products spills over to include your loving pooch. BarkBox is for you, too. Now, you and your pet can enjoy the convenience of monthly home deliveries in the form of inexpensive goody packages right to your door filled with items dogs will love. BarkBox is similar to Graze for humans. Graze offers weekly deliveries of boxes featuring an assortment of fresh, healthy snack foods on a subscription basis. The items are all handpicked according to your likes and dislikes and take into account any allergies you may have. You could liken it to a care package from mom filled with surprise treats but without the sox and underwear. With BarkBox, your pet will receive a box filled with goodies only a fairy dog mother could assemble with him or her in mind. So, what’s all included? Each unique doggy care package is chock full of treats, toys and new pet products selected from vendors vested in making dogs happy. 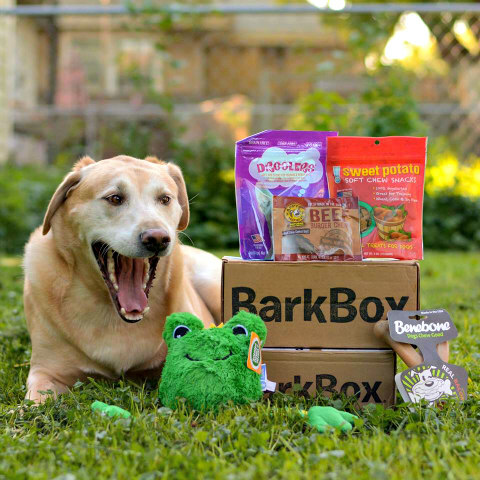 The boxes include four to six natural treats and fun toys “curated around a surprise theme each month.” All items are chosen to meet a dog’s particular needs, including any allergies you alert the company to. The service gives you access to hundreds of products you may never have heard of, saving you time and legwork. And if your dog isn't happy with something that came in the box, they'll fix it, guaranteed. One of the best features about using BarkBox is convenience. Clients of the subscription service have the ability to easily find any of the items their dogs fall in love with at the BarkShop.com website, through their special app or by texting them. Everything they provide comes from local and independent businesses or their own brand, Bark & Co. It’s a great way to try a variety of products from small businesses you may not otherwise be able to find. To date, they’ve shipped over 16 million toys and treats, giving them a wealth of information about what truly engages dogs. If you’re interested in giving BarkBox a try, you can begin by telling them the size of the dog the packages will be tailored to. Next, you’ll choose a subscription plan that ranges from 3, 6, or 12 months. 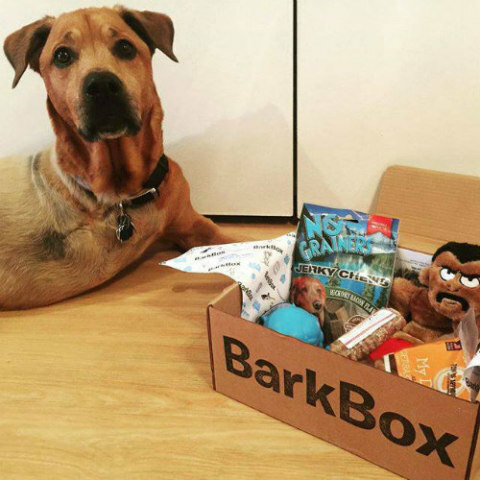 If you’re not ready to commit or you’d like to send a BarkBox as a gift, a one-time purchase can be made. Packages are shipped on the 15th of every month. The company is sure that once you’ve tried the service, you’ll want to continue on with a subscription. To top it all off, BarkBox supports shelters, rescues and non-profits across the U.S. that help dogs find forever homes, so your patronage ultimately goes toward a good cause.